The decision has been made, you’ve called your Realtor and now all that’s left is to decide on a new home and schedule your Kamloops Movers for the big day. Moving with children can sometimes be tough because moving can present a lot of big changes for them. Especially if the house you’re leaving is the home they grew up in from day one. Thank fully there are some tips for making the process easier for the whole family. We recommend scheduling a family meeting to discuss the move and possible changes with the children. 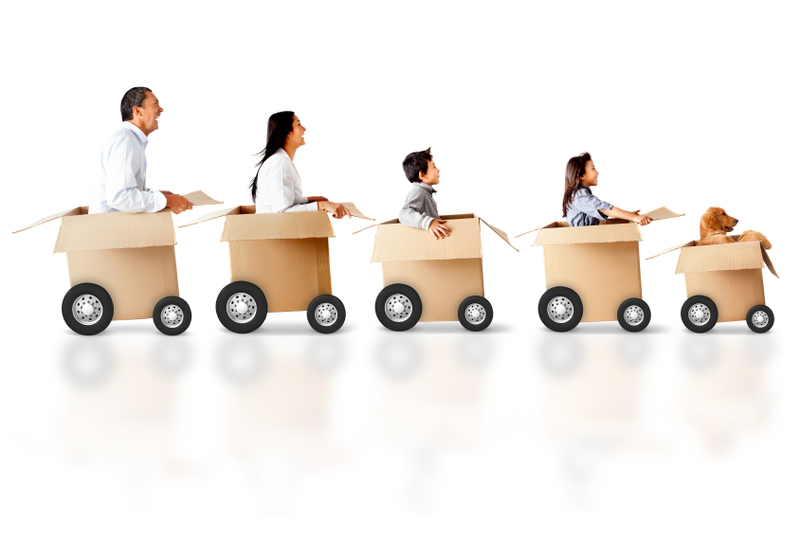 Getting your children involved during the beginning can make the transition easier and even get them excited about the move. You can also talk to them about future plans for their bedroom(s) or the yard as making plans as a family will help to build excitement for the move. Walk through your current home and take a look at what belongings should be making the move with you and which ones would be better off going elsewhere. Get your children excited with a yard sale and ask for their help with finding old toys, clothes and items they don’t need anymore. From the money you make by selling the old stuff you can buy new stuff to fill their new bedrooms – if that doesn’t build excitement we don’t know what will. Take the family for a drive around the new home and neighborhood. Depending on which step you are in of the buying process you can even make plans for a walk through of the home and neighborhood. If you’re planning on buying new furniture, doing some redecorating or even painting – ask your children for their input. This will give your children a chance to discuss the move with their friends and exchange phone numbers, emails, addresses, etc. Your children will be happy to know they have their friends contact information just in case they want to send a letter, test message or email. Hosting a small get together also presents the opportunity for you, the parent to arrange possible weekend trips or sleepovers for the kids. Driving the same route and eating at the same restaurants can become boring for anyone. Once you have officially moved to the new home, try acting like a tourist in your new neighborhood for fun. Check out happening cafes, restaurants, and shops in the new neighborhood. Depending on how far you moved you can even check out tourist attractions in your new town or city. This will add an element of fun and excitement and will definitely help your children accept the change. We hope that you have found our tips useful for your future moves. If you would like to ask us any questions regarding your next move or for storage solutions for the upcoming winter – please feel free to contact your Kamloops Movers today!